Gamers! Vivo’s is ready to wow the world with the all-new screen design. The Global smartphone Brand Vivo is up again for an all new-screen design for their latest smartphones. A level up gaming experience for your favorite games. Since August 20, Vivo started to teased to their tech savvy followers with a mysterious videos posted on their social media pages. One of it are video of a moon with a shape emphasizing a curved line with a hint pointing to the next flagship smartphones of Vivo. Vivo has been dedicated and pushing every boundaries on experimenting a new screen based on various studies and insights for their customers. Recently, Vivo release its V7+ a 5.99 inch All-Screen display that offers a wider visual experience without compromising a comfortable grip. 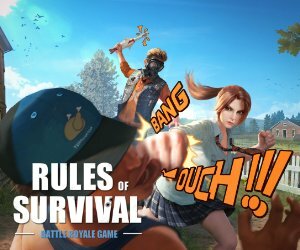 This gives you more advantage while playing your favorite Battle Royale game like Fortnite, PUBG mobile and ROS. It is also followed with the release of V9. The first flagship phone of Vivo with a notch on its screen display. The V9 features a 19:9 FullView Display that has massive 90% screen-to-body ratio that gives gamers a wider look. The Vivo V9 may be as compact as the 5.5 inch phone, but it was able to attain the 6.3 inch screen display. Mid this year, Vivo also release the Vivo X21, the very first X-series smartphone in the Philippines. It has the same 19:9 FullView display of V9, but much more bigger screen-to-body ratio of 90.3%. In June, Vivo was able to reach its target by releasing their Vivo NEX – an Ultra FullView display with a whooping screen-to-body ratio of 91.24%. The phone also features a mechanical Elevating Front Camera that automatically elevate the camera when taking selfies and hides in the body when not using it. They also introduces the Screen SoundCasting Technology that replaces the traditional earpiece speaker and cutting the bezel size. With these line ups, Vivo just proven that the window to the digital world has no limits. What barriers will the brand break next? Let us know in the comment section. Gamers! Vivo's is ready to wow the world with the all-new screen design. The Global smartphone Brand Vivo is up again for an all new-screen design for their latest smartphones. A level up gaming experience for your favorite games. Since August 20, Vivo started to teased to their tech savvy followers with a mysterious videos posted on their social media pages. One of it are video of a moon with a shape emphasizing a curved line with a hint pointing to the next flagship smartphones of Vivo. Vivo says on their FB page "The galaxies coalesced. Prepare for something great #GoBeyond." Vivo has been dedicated and pushing every boundaries on experimenting a new screen based on various studies and insights for their customers. Recently, Vivo release its V7+ a 5.99 inch All-Screen display that offers a wider visual experience without compromising a comfortable grip. This gives you more advantage while playing your favorite Battle Royale game like Fortnite, PUBG mobile and ROS. It is also followed with the release of V9. The first flagship phone of Vivo with a notch on its screen display. The V9 features a 19:9 FullView Display that has massive 90% screen-to-body ratio that gives gamers a wider look. The Vivo V9 may be as compact as the 5.5 inch phone, but it was able to attain the 6.3 inch screen display. Mid this year, Vivo also release the Vivo X21, the very first X-series smartphone in the Philippines. It has the same 19:9 FullView display of V9, but much more bigger screen-to-body ratio of 90.3%. In June, Vivo was able to reach its target by releasing their Vivo NEX - an Ultra FullView display with a whooping screen-to-body ratio of 91.24%. The phone also features a mechanical Elevating Front Camera that automatically elevate the camera when taking selfies and hides in the body when not using it. They also introduces the Screen SoundCasting Technology that replaces the traditional earpiece speaker and cutting the bezel size. With these line ups, Vivo just proven that the window to the digital world has no limits. What barriers will the brand break next? Let us know in the comment section.